BACnet is a communications protocol for Building Automation and Control (BAC) networks that leverage the ASHRAE, ANSI, and ISO 16484-5 standard protocol. It is currently the most popular protocol use in Building Automation systems (BAS). *Area in the border is provided by the CAS BACnet Stack. The area outside is provided by the client. Benefit from our 20+ years of BACnet experience!!! Take it from us, we have been working with BACnet for 20+ years. Our BACnet Stack Resume includes 10+ years of development, 25,000+ commits, 50,000+ lines of code, 2,500 unit tests, 50+ devices using the stack and among other capabilities, 1,000,000+ device installations. We know what we are are doing. On top of that, we are also part of the BACnet Testing Laboratory Working Group. Purchasing the CAS BACnet Stack from us will save you man-years of development when your company needs it the most. Let us handle the grunt work, BACnet Spec is complex and it takes months of work just to learn the details. Chipkin’s BACnet Stack (CAS BACnet Stack) is an application layer BACnet library for embedded systems and application development. The stack allows applicable devices to communicate using several of the BACnet flavors and can function both as a server (Field Device, etc…) or as a client (HMI, etc…). Because we have also built the stack to be BACnet spec compliant (we do things according to the BACnet spec. ), No device that used our stack has ever failed to receive the BTL Certification (BACnet International BLT) by the BACnet Testing laboratories. We do things the right way from the start! 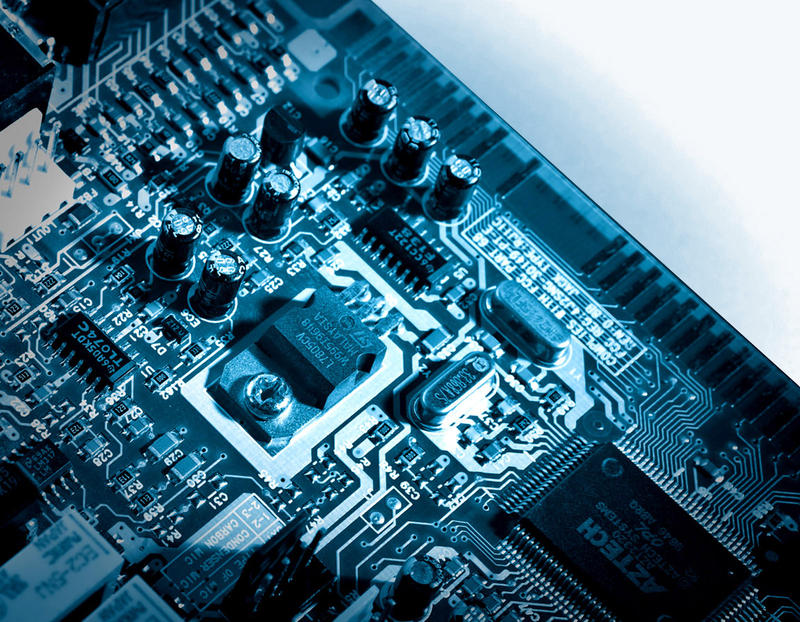 To ensure our stack is well tested and compatible with industrial leaders, Chipkin attends the yearly BACnet Plugfest to test new features and services from all of the leading manufacturers. Furthermore, the CAS BACnet Stack is particularly well-suited to most contemporary programming styles as the API uses XML to transfer requests for packet building as well as for handling back-parsed packets. Supports both BACnet server and BACnet client functionality. Network layer independent supporting; BACnet IP, BACnet MSTP, and other BACnet network flavors. Supports BACnet router functionality to create multiple virtual BACnet devices on a single physical device. Allowing your data to be grouped in a logical manner. Supports Windows, Linux, MacOS, RTOS, and embedded platforms. Supports decoding BACnet messages as XML. Supports BBMD, and Foreign device registration. Supports a wide range of compilers. GCC, Microsoft Visual C++, Borland C++, Code Warrior, IAR, CrossWorks, MicroChip MPLab. Need More Features, Contact us!! 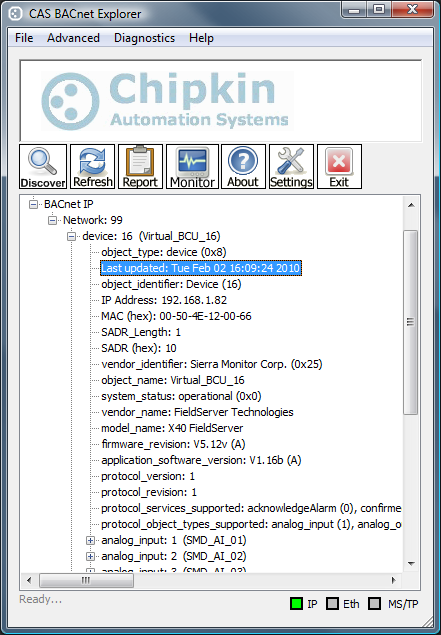 The Chipkin BACnet stack source code conforms to the C++98 standard and is built for portability to many different operating systems and architectures. Extensive unit tests have been written for the Chipkin BACnet stack in Google's C++ test framework. The source code has been tested with Valgrind to detect any memory leaks, threading issues, and performance profiling. The Chipkin BACnet stack is thread safe, and can be used on systems that do not support threading. Please Read the License Agreement before downloading the Sample Code. See below for a simplified example of creating a BACnet IP server. A full example can be found to the right. The CAS BACnet stack is designed for maximum portability and compatibility with as many different architectures and operating systems as possible. The Chipkin BACnet stack uses a series of callbacks for accessing operating systems and network functionality. An operating systems Interface has been created for the standard operating systems such as Windows, Linux and RTOS and can be ported to other operating systems and embedded systems. The Chipkin BACnet stack can be considered network layer and operating systems independent. The CAS BACnet stack has been ported to many different architectures. Below is a list of all tested functional architectures. The Chipkin BACnet Stack supports more BIBBs than almost any other BACnet Stack on the market. The Chipkin BACnet stack is designed to have minimum requirements to maximize the portability of the source code across as many platforms and architectures as possible. It has the ability to run on devices with very low resources by disabling BACnet services to reduce the required resources and dependencies. Sending a new BACnet device to the BACnet Testing Laboratory (BTL) for certification can be a daunting task. Each issue or error that BTL discovers thought the testing process will add variable costs and delays. 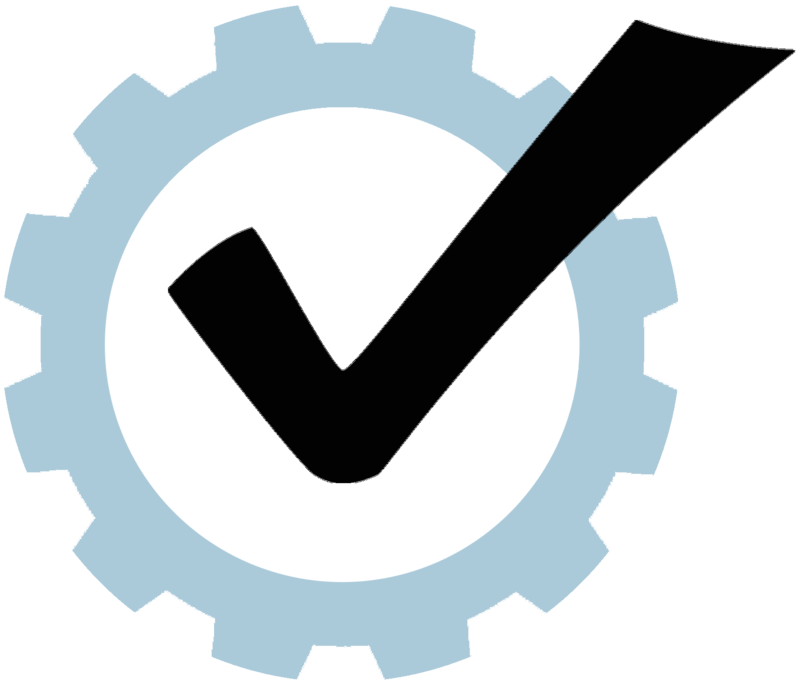 Depending on how long it takes your team to resolve the issues discovered during testing you may be bumped from your testing slot and have to wait for the next available testing slot. Take it from us, we have been working with BACnet for 20+ years. Our BACnet Stack Resume includes 10+ years of development, 25,000+ commits, 50,000+ lines of code, 2,500 unit tests, 50+ devices using the stack and among other capabilities, 1,000,000+ device installations... Read More! FREE CAS BACNET EXPLORER WITH THE PURCHASE OF A BACNET STACK! 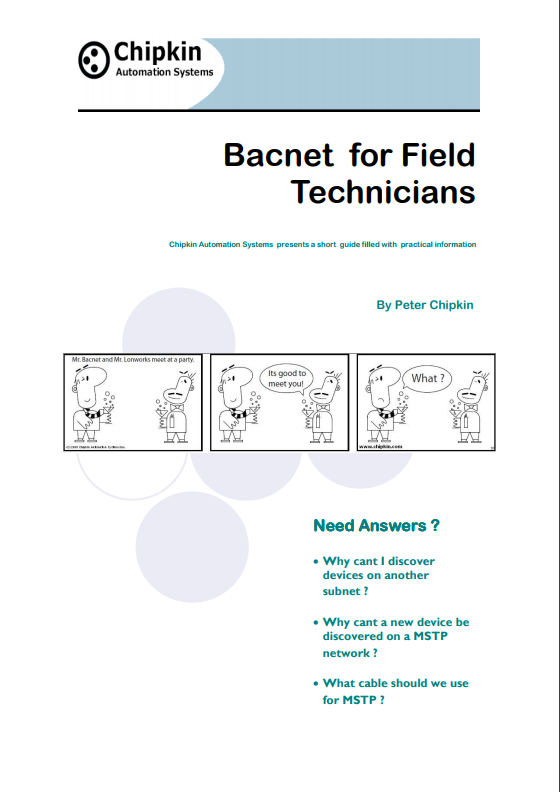 Purchase any BACnet product from us and we will help you test and document the BACnet interface by providing a free full license to the CAS BACnet Explorer and a Hardcopy of the BACnet booklet. The USB key and booklet ships with the FieldServer. CAS BACnet Explorer is the perfect utility for testing, debugging and discovering BACnet® networks and devices. It is great for network diagnostics and discovering who is the problem. No more pointing fingers. Buy the CAS BACnet Explorer!! The CAS BACnet Object Monitor is a software designed to run on a Windows computer for testing a connection to a BACnet IP device or to monitor a BACnet IP device. 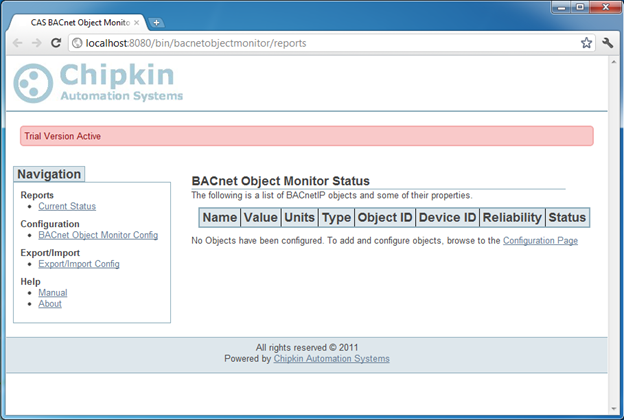 Download the BACnet Object Monitor FREE! !